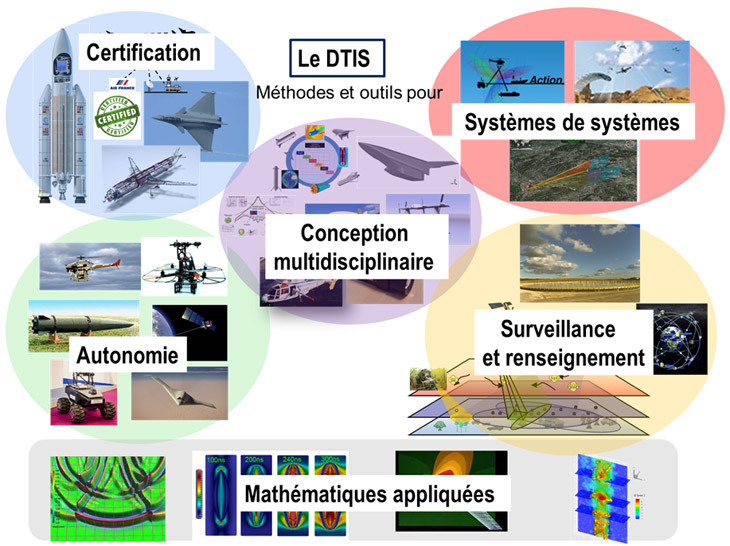 I am a fellow research engineer at the ONERA (French AereospaceLab) working in the SEAS team within the DTIS department (modeling and information processing). I graduated in Electronic Engineering (specialization in Computer Science) at the Polytechnic University of Marche in 2003. From 2003 to 2007 I worked for the MTS Group (now ARISTON Thermo) as software developer in the R&D department. He specialized on microcontroller and control systems. In 2010 I completed the Ph.D. in Computer Science (curriculum in Innovative Technologies of Info. & Com. Eng. and Robotics) at the Scuola Superiore SantAnna working on real-time systems at the RETIS Laboratory. During the Ph.D. thesis, in 2008-2009 I was a visiting student at the ETH, Zurich working on real-time calculus and real-time scheduling within the TIK Laboratory. In 2011-2012 I was a postdoc at LORIA, a joint unit within INRIA Nancy-Grand Est, CNRS and Nancy University, working within the TRIO team. My main research interests include real-time operating systems, schedulability and scheduling algorithms, energy aware scheduling, dynamic and adaptive resource reservation/allocation policies, probabilistic real-time modeling and analysis, real-time controls, formal methods and artificial intelligence. My activity at the ONERA involves the modeling and analysis of safety-critical real-time systems. 1. Currently supervising Ph.D. candidate Jasdeep SINGH. 2. Currently supervising Internship of Julien Durand (ISAE student). 3. Propsing Ph.D. thesis subjects on "predictability of multi-core real-time systems" (ONERA Ph.D. subject #43), "real-time network analysis with probabilities", "predictability of GPU platforms". laude, with thesis “Analysis and Development of technique for the Fingerprint Matching”. Advisor Prof. Reservation with practical application on embedded systems, including WSNs. - October 2008-September 2009, visiting student at the ETH in Zurich under the supervision of Prof.
by Prof. Giorgio Buttazzo, Prof. Lothat Thiele, and Liliiana Cucu-Grosjean. - From June 2012: Research Engineer at the LAPS team, DTIM ONERA Toulouse. Worst-Case Execution Time, Java, Multi-cores and System Programming classes. Allocation, Probabilistic Real-Time System Modeling and Scheduling. Most of these articles may be copyright of ACM, IEEE or Springer (LNCS) . Please understand their copyright policy before reproducing these articles. 2006 by Sprinter Science+Business Media, Inc.
Dorin Maxim, Luca Santinelli and Liliana Cucu-Grosjean, TrioTeam, INRIA Nancy Grand Est, Nancy & RetisLab Scuola Superiore SantAnna, Pisa; Junior Workshop JRWRTC at the 18th International Conference on Real-Time and Network Systems RTNS, 2010. - How effective is sensitivity analysis with probabilistic models? Robert I. Davis, Luca Santinelli, Sebastian Altmeyer, Claire Maiza and Liliana Cucu-Grosjean;York University 2013. I have studied Electronic Engineer with specialization in Computer Science at Ancona, Polytechnic University of Marche. Electronic + Computer Science it is a mixture between information technology and electronic engineering. After the first 2 years of general courses such as maths and physics, it starts to be specific. First a couple of years of electronic and information technology and then, last year of my studies, I chose entirely the software technology catalog with Computer Architecture, Operating Systems, Advanced Programming Languages and Artificial Intelligence exams, to be focused on software engineering. Master Thesis: Analysis and Development of technique for the Fingerprint Matching. The study focuses on developing a complete fingerprint recognition system: enrollment (fingerprint management) identification and recognition with Artificial Intelligence technique. Next to come: China? Australia?